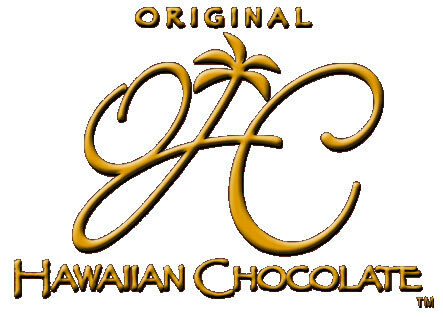 Grassed-skirted hula dancer (maybe goddess Pele herself) with enough resident cream in her dairy to make the concept of milk chocolate obsolete. Be Here – Aloha. 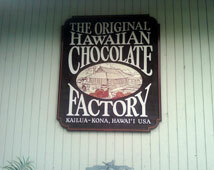 The Original Hawaiian Chocolate Factory was built by Pam & Bob Cooper after they acquired the farm of medical professor Dr. Clarence Hodges in Kona that once supplied beans to Vintage Hawaiian chocolate company whose founder, Jim Walsh, contributed to the modern Hawaiian cacáo industry in the 1980s when he introduced selections imported from The Philippines & Malaysia, the former a historic trans-shipment point that received the first cacáo - pure Criollo - outside its American homeland, circa 1670, then subsequently transplanted throughout the Pacific islands. So just how Criollo is this Criollo? As much as any other & more than most. Simple, & simply beautiful. Echoes of Porcelana without the subliminal depth (caused in part by diluted 60% strength; 75% or even 80% would be a truer gauge). Processed & left relatively unadorned – as it should be – but aged 2 years to let acidity fully convert, then strategically roasted low & slow. Hawaii’s on the cacáo map.